Now with USB 3.0 and UAS compatibility, the LaCie 2big Quadra delivers optimized performance for PC and Mac. Its two 7200 RPM professional hard disks preconfigured in RAID 0 provide up to 210 MB/s* on PCs or late-model Macs. The hardware RAID controller ensures sustained performance and prevents dropped frames. More than twice as fast as FireWire 800 (up to six times the speed of USB 2.0), the LaCie 2big Quadra will transform your workflow. And its massive capacity makes it the only storage you’ll need for all your projects. Backups and file transfers finish much faster. Play back multiple HD video streams in Final Cut Pro X™ or Adobe® Premiere®. Enjoy more responsive photo library browsing in Aperture™ or Lightroom™. Don’t let your project get derailed by external drive/computer incompatibility. 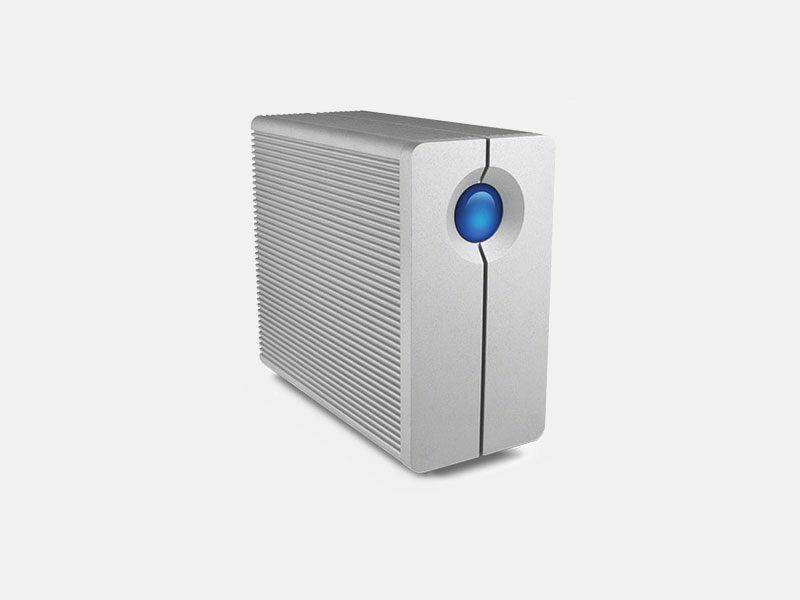 With its multiple interfaces, the LaCie 2big Quadra is the perfect match for any Mac or PC. With FireWire 800, import your data from your old computer even faster, if your old computer is compatible. You can even daisy chain older external storage devices or A/V peripherals in order to import data directly, hassle-free. Thanks to backwards compatibility with USB 2.0 and FireWire 400**, you can literally connect the LaCie 2big Quadra to any standard computer of any era. Whatever the computer you use, the LaCie 2big Quadra has the right connection for it. 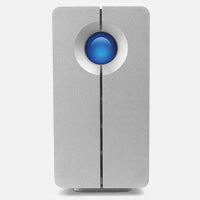 The LaCie 2big Quadra goes the extra mile to protect your data. It features RAID 1 and hot-swappable disks, so your data is kept safe even if a drive fails. Simply swap in a new disk without switching off the device. No downtime, and no data loss. You also won’t lose any data if, during a file transfer, someone trips over the interface or power cable. 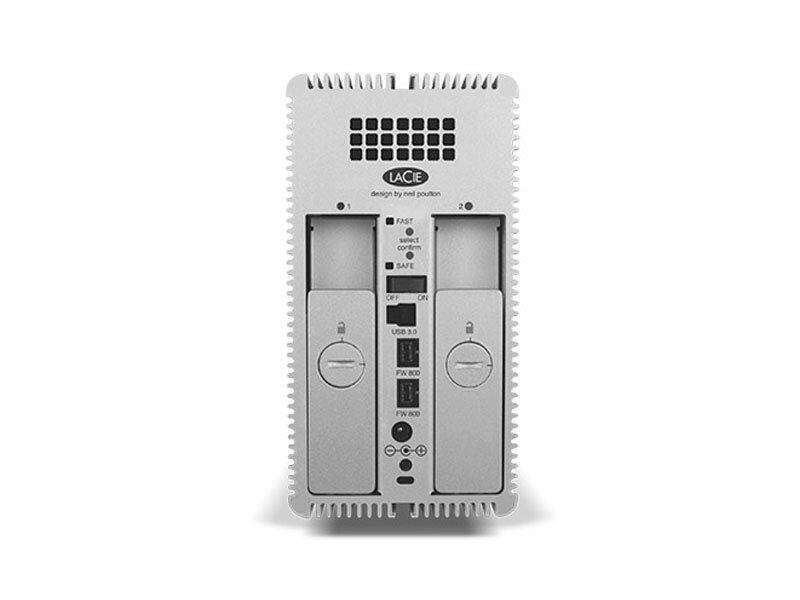 The LaCie 2big Quadra’s cable management system keeps all cables safely connected to the enclosure. This product is also a complete workstation backup solution. It includes professional backup software that lets you perform file-level and even system-level backup and restore. So you can create a full system backup that lets you boot your Mac directly from the product. It’s also Time Machine® and Windows 7 Backup compatible. It even lets you prevent physical theft thanks to Kensington® lock compatibility. Since effective cooling is a critical factor in hard disk reliability, LaCie completely redesigned its 2big enclosure’s cooling system. It ensures long-term reliability by preventing overheating. The system consists of three key components: an innovative heat-dissipating aluminum casing, a completely redesigned fan, and jumbo heat exhausts. For the enclosure, its solid-aluminum heat sink design provides 60% more surface area than flat designs, diverting and dissipating heat more efficiently. Its new magnetic levitation fan generates zero vibration or friction. The LaCie 2big Quadra was painstakingly designed to integrate seamlessly into professional environments. With its space-saving design, you can stand it alone vertically and reduce its footprint on your desktop. Busy professionals can also set up email alerts, so they can monitor their device before potential problems escalate. They’ll know, for example, that the ambient temperature in the room is too high before it causes problems. Even changing the RAID mode is convenient thanks to two-step Easy RAID configuration. 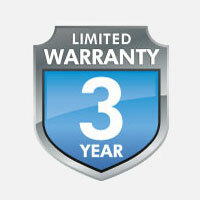 Your LaCie 2big Quadra is protected by a three-year limited warranty. It includes comprehensive, complimentary web-based resources, expert in-house technical support, and worldwide repair/replacement coverage. Warranty extensions and Advance Care Option can also be purchased. For details, see www.lacie.com/warranties/. ** By using a FireWire 400 to FireWire 800 adapter cable (sold separately). To achieve full interface bandwidth, connect the product to a FireWire 800 port on a computer or device. *** Hot swapping will result in data loss in a RAID 0 array. 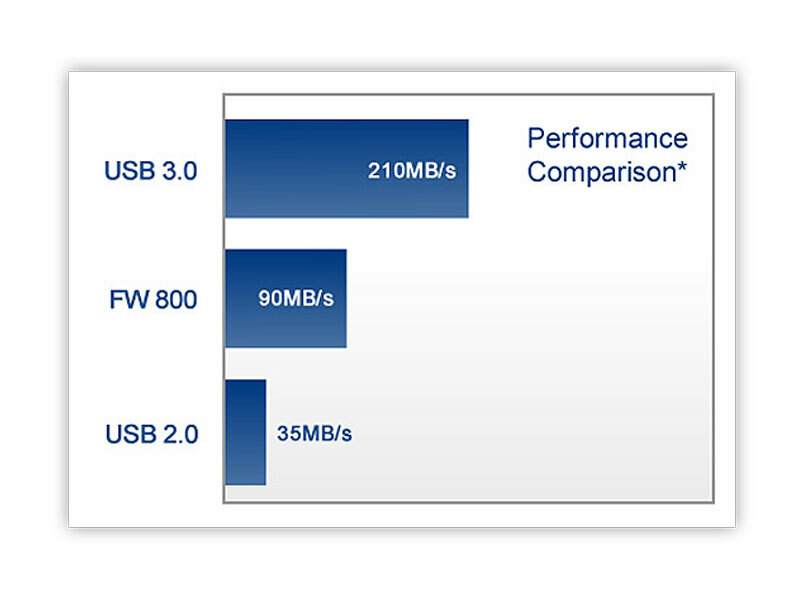 ▲ These transfer rates were achieved using AJA System Test when connected to a Mac computer via the USB 3.0 interface. Actual data rates may vary depending on operating environment and other factors, such as chosen interface, RAID mode, RAID configuration, and disk capacity. ▲▲ These measurements have been made under normal conditions, one meter/three feet from the front of the product. This value may vary with conditions and product configuration.